Warriors of Light! 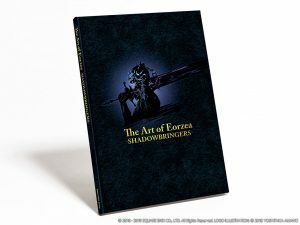 The time is upon us to begin the Pre-Orders of Shadowbringers, the next chapter in Final Fantasy XIV! 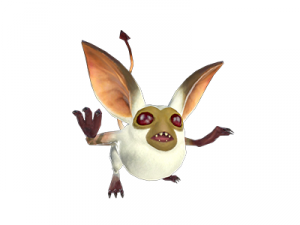 Remember folks, AIE is on the Goblin server, currently in the Aether data center, but our server is slated to move to the new Crystal data center soon. Join AIE as we continue our adventures through Eozrea, as we all adventure together in Shadowbringers! As always, you can join the conversation or ask any questions down in our Discord Channel, https://aie-guild.info/discord #FFXIV. There are a few different versions to purchase. On each platform, there is a standard edition, a digital collector’s edition, and the physical collector’s edition. By pre-ordering any version of Shadowbringers, players will receive the following bonuses. 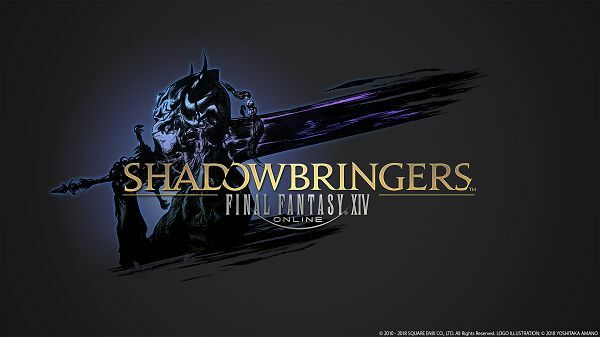 Early access to Shadowbringers, beginning Friday, June 28th. 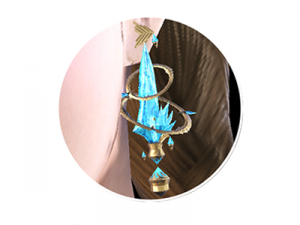 Aetheryte Earrings. A stylish piece of ear accessory that also provides job specific stats, and grow in power as you level up to 70! On top of that, it will give you an extra 30% XP bonus to boot! Not a bad deal for looking good! If you purchase the PS4 edition of the game, you will also receive a PS4 theme and a PS4 Avatar as part of your pre-order bonus. Awesome! But what do you get for picking up the digital collectors edition? Well, you get everything listed above and the following! The great Grani Mount! Enjoy your new ride, with many, many pointy edges! It also flies and swims underwater! 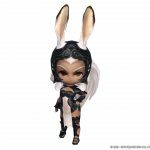 She is not a bunny, but a Viera! Sure, the Viera will be the new playable race, and you will probably see many Vireas running around, but none of them will be anything like Fren from FFXII. It’s a Revolver! It’s a sword! 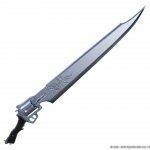 It’s a Revolver Gunbreaker Sword! Awesome at parties, shooting things, slicing things, and looks great propped over your shoulder, just make sure you don’t use the pointy end. But wait, there’s also the physical collector’s edition! What’s in there? The box! The box is a wrap around piece of artwork! 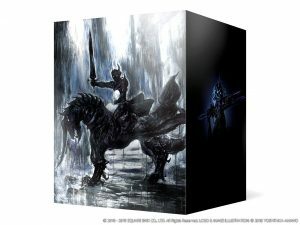 Dark Knight Statue! 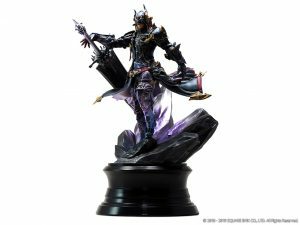 Embrace the darkness, and have this statue on your desk while you destroy your enemies in front of you. This 9″ statue will show you how good the darkness can really look. Art, in book form! Every good collector’s edition has an art book. This one is no different. The art direction of this game is off the charts, so having a book to truly appreciate it is nice, when you are not being chased by 14 bad guys. It’s a reuseable sticker! 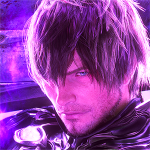 Cling it on to things to show your Shadowbringers respect! 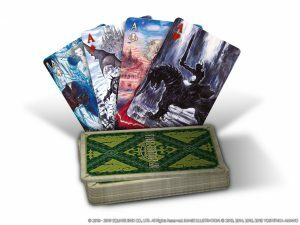 Final Fantasy XIV playing cards! Now you can show up to poker night with these fancy cards with artwork from FFXIV on each. Now you can call your opponet’s bluffs and drop down that straight flush in style! So, with all of this out there, remember to get the correct platform, as the expansion platform has to match up with the version that you are playing. Meaning if you have the PC version, get the PC expansion, PS4, Mac, ect. The big gotcha is the Steam edition. 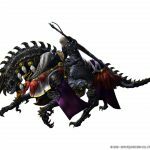 If you purchased FFXIV through Steam, make sure that you pre-order the game thru Steam. Likewise, if you did NOT buy the game thru Steam, do not get the expansion on Steam. That’s a lot to take in, and we didn’t even get to what is in Shadowbringers yet! Not to worry, as you can tune into the AIE Podcast on Saturday, February 9th, and we will have a recap of everything we know about Shadowbrings on the podcast! We hope to see everyone in Eozrea!